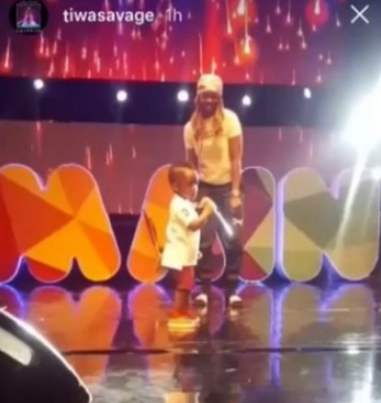 Songstress, Tiwa Savage, shared this photo of her son, Jamal, on stage with her while she was rehearsing for a performance. She says although she doesn't want him to do music, he is gravitating towards it. 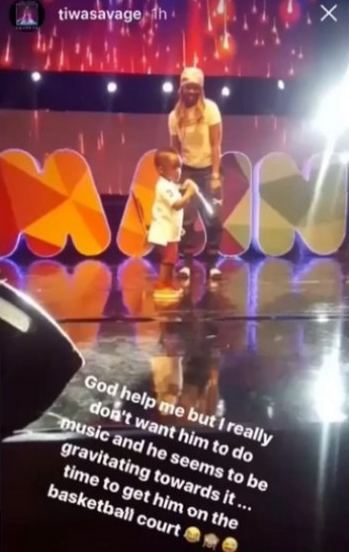 According to Tiwa, he would rather do something else asides music despite his love for the art.